This little park is well worth a stop on your roadtrip to learn about the geothermal history of the area. See thermal springs firsthand and how the people of the town have put that energy to good use. 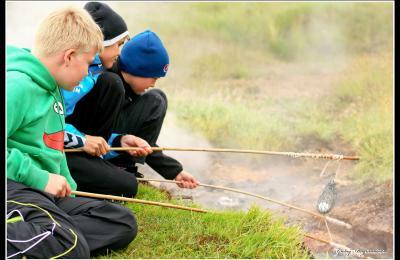 Boil eggs in the hot spring and eat along with a slice of bread baked underground in geothermal heat for 24 hours. End it off by soothing your feet in healing mud and then dip in the hot pond.